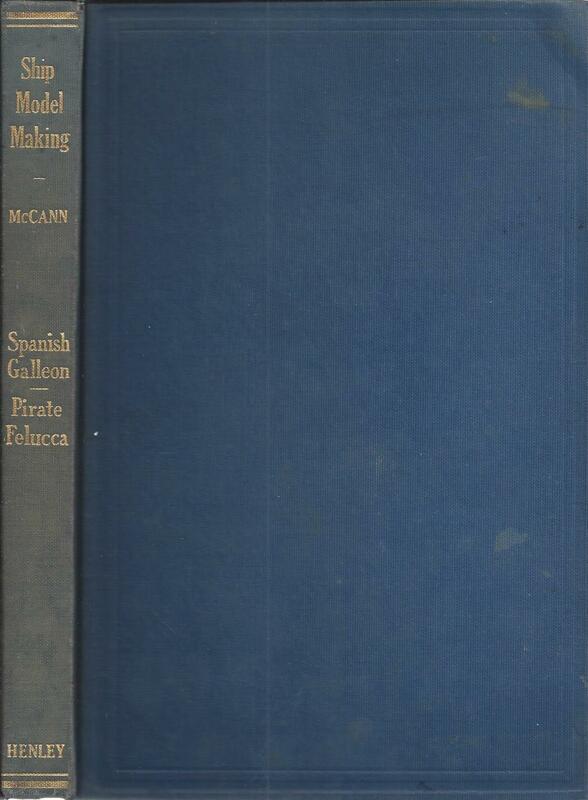 1 E. Armitage McCann Ship Model Making Volume I. How to Make Worth-While Models of Decorative Ships. GOOD-. blue cloth boards, no jacket, faded covers and spine, small bumps to corners, browning and brittle pages. FAIR. magazine protected with illustrated paper page, illustrated magazine, bagged for protection with a stiff backing board, approx. 8.5'' x 11'', heavy wear, liquid stains and mold to edges of covers and beginning pages, large creases to covers, warped pages.